Dance is both a journey and a destination set to music. It was with great pride and enthusiasm that Shawna decided to take her years of discipline and transition from student to professional. She enjoyed performing to earn a living while travelling to exotic locations on four Carnival Cruise Lines contracts (MS Ecstasy, MS Celebration, MS Fascination, MS Legend). During that time she had the opportunity to perform as a soloist and adage partner. Between contracts she always returned to her other passion: teaching. In the past five years has earned a reputation as a gifted teacher and choreographer, including her work with the University of Waterloo Dance Team. Her students have enjoyed growth and success thanks in large part to Shawna’s creative concepts and her ability to drive her students to achieve their personal best. It’s Shawna’s devotion, contagious enthusiasm, and passion that will make the difference in your dancers’ experience and the education they will receive at Dynamic Dance Force. Nakita started dancing at the age of 3 at Sue Bottrill Dance Studio where the stage soon became her favourite place to be. By the age of 5 she started dancing competitively winning numerous overalls, special awards, and scholarships. At the age of 12 she competed in a World Dance Competition in Germany receiving 22nd place in the world. From this point forward, Nakita knew dancing was going to be one of the biggest and most powerful aspects in her life, as well as to continue training past her high school years. Nakita has not only trained with her studio teachers but as well as under professionals such as SYTYCD finalists and Coastal Dance Rage teachers such as Blake McGrath, Bobby Newberry, and Mary Murphy. Additionally she has participated in Dance Odysseys’ own SYTYCD, winning Cambridge’s own SYTYCD, and various different workshops one being “So you know you can dance”. Nakita has completed many exams throughout the years in all subjects from ballet to acro to jazz, lyrical, and tap. After training for many years she started off as a teacher’s assistant for her studio with the younger kids combo classes and has now become an official teacher of not only the younger students, but the inters and seniors, as well as choreographing competitive routines. After graduating grade 12, Nakita knew her dance career couldn’t stop there. She knew she would only grow further in dance as she grew older, so she joined the University of Waterloo team where she is currently enrolled in the Kinesiology program starting as only a participate on the team for her first year, but becoming captain of the team for the following year of 2011-2012. Nakita is very excited to be part of the ONE movement Dance Company, and cannot wait to keep on inspiring and educating younger kids through her love of dance. Dance has been one of the biggest inspirations in Nakita’s life and she can’t wait to share her passion with the students at Dynamic Dance Force! In her Professional Career Meaghan has performed at the LA Invitational, for Mercedes Bends, The Event Firm and was a member of The Dance Company. Meaghan has always had a passion for Fashion and the Runway. After graduating from the National Ballet School, Meaghan joined GEMINI Models as a model. In June of 2011, Meaghan joined the GEMINI team as a Modelling Instructor. After returning from a contract with Celebrity Cruise Lines, Meaghan assumed the role as the Academy Director. When Meaghan is not dancing or instructing, she can be found gracing the runways for all of GEMINI’s fashion show productions. She always leaves a lasting impression with her graceful walk and electric smile. You may recognize Ms. Meaghan from her appearance (2010) on So You Think You Can Dance Canada, where she was featured as part of the Nova Scotia audition day. There is no doubt Ms. Meaghan was born to teach and inspire others to reach their fullest potential. Excited to be back in the studio, Ms. Meaghan is eager to instil her passion for strong technique combined with the grace, poise and artistry of Ballet. Chandler has been dancing since the age of 8 training in numerous styles such as jazz, tap, ballet, hip hop, lyrical, musical theatre, and acro. She has travelled to LA and many places around Ontario to train and take workshops from professional choreographers including Tucker Barkley, Hollywood, Shavar Blackwood, Leon Blackwood, Anthony Smith, and Blake McGraph (to name a few!) Chandler won a scholarship to the summer intensive ‘get exposed’ at the On Fire high school dance competition. She was awarded “most outstanding contemporary” at TBTS dance camp. Chandler has also been involved with dance crews including JU-C dance crew, where they preformed around the Cambridge and Kitchener Waterloo area. Chandler began choreographing competitive routines at the age of 16. She started exploring her teaching career and is teaching at studios throughout the Cambridge and Kitchener Waterloo area. Chandler has choreographed a hip hop piece for the Waterloo dance team, where they competed against other universities around Ontario. 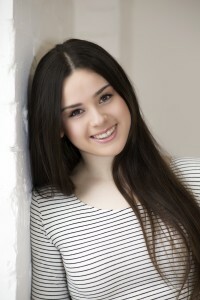 She is currently studying Early childhood Education at Mohawk College, and is on the McMaster dance team. 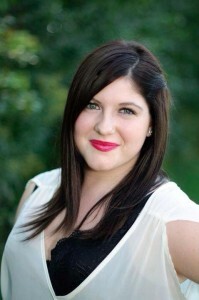 Chandler is excited to share her passion and love for dance with her Dynamic Dance Force students.